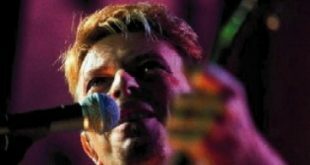 From the earliest recordings made in 1967 to the sixteenth session in 2002 Bowie has contributed some fascinating live sets to the BBC archives. The early recordings of Bowie at the BBC particularly hold great interest and document an artist still trying to find his way in the world with apparent giant leaps in style although if you really study them it’s more of a rapid evolution. 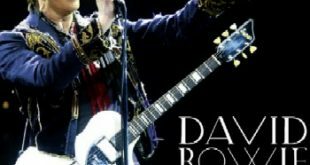 Most of the unofficial recordings have variable sound quality and generally attribute the wrong dates to the various sets Bowie performed up to the early 70s. Pick and mix bootlegs confuse matters still further as do the often repetitive set lists. The official Bowie at the BBC release is by far the best available but is far from complete so this is where this new release from Godfather steps in as in contains many of the important tracks missing from the original release and all in excellent quality. 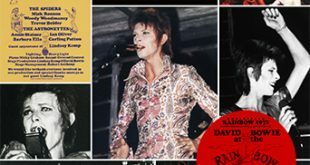 Okay, the four volumes of ‘The Rise and Rise of Ziggy Stardust’ are more complete still, but have poor quality on some sessions. 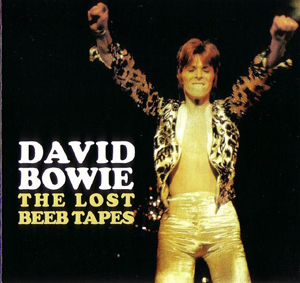 So if you have the official release then the ‘Lost Beeb Tapes’ makes a sensible purchase filling in most of the gaps in great quality. The first session documents all the tracks from the Top Gear session of 1967. 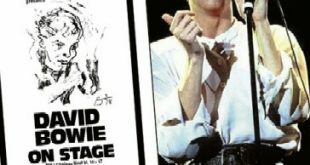 This vaudevillian period is often derided by Bowie fans but in truth the songs reproduced here live are worthy of re-evaluation and Bowie’s juvenilia is much more refined and developed than many would have us believe. These are clever songs for those with open minds and beautifully played. ‘When I’m Five’ is a sentimental monologue from the 1968 Top Gear Session and is the only full studio recording of the song (A rough demo also exists). The Dave Lee Travis Show of 1969 brings us a great version of ‘unwashed and somewhat slightly dazed’ delivered quite ferociously that in some way could be attributed to the then recent death of Bowie’s father. The 1970 show offers us ‘Waiting for the man’ and ‘The Width of a Circle’ backed by Bowie’s then band ‘The Hype’. Both songs are guitar heavy workouts almost progressive in delivery. The John Peel show of 1971 is quite an oddity and unique in sound and structure with various guest vocalists and friends helping Bowie fulfil his Warhol-come-Svengali aspirations. The pick of the sessions is the 1971 Bob Harris show featuring just Mick Ronson and Bowie in a stripped down acoustic set of ‘Hunky Dory’ songs. All the songs are played quite superbly and it’s surprising the whole set didn’t feature on the official release. The 1972 Bob Harris session completes the disc with a full on Ziggy version of the Velvet’s ‘White Light/ White Heat’. So it’s a 10/10 for Godfather so far. 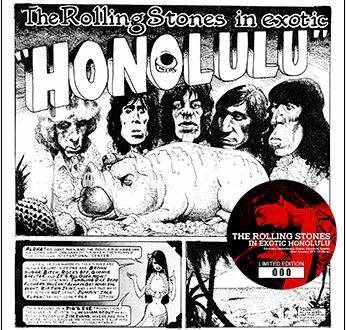 Bonus tracks feature three tracks wrongly attributed to ‘Arnold Corns’ with the exception of ‘Moonage Daydream’. Unfortunately more complete and better quality versions of these three bonus tracks are available elsewhere. Typical Tri-fold Godfather packaging completes the handsome package and they even manage to attribute the dates of the sessions correctly. The only source of complete Bob Harris’ show featuring just Mick Ronson and Bowie in a stripped down acoustic set of ‘Hunky Dory’ songs is Rise & Rise so this is where this release got them. i’d been looking to pick this release up for a while now & i’m glad i did. glorious packaging with correct era photos inside, a short write up of the BBC sessions & as Richardgm99 pointed out, the correct recording dates of the sessions. a secondary best to the main feature mind you & a glorious CD to listen to. The BBC part of this CD is excellent and only the bonus tracks are less than perfect. Two of the bonus tracks are, as I mention in the review, wrongly attributed to Arnold Corns and all the bonus material is available in more complete and better versions elsewhere. Incidently the Radio Luxemburg studios were bona fida recording studios where many albums were recorded. It wasn’t just for broadcast. I compared the version of ‘Moonage’ to the one included as a bonus on the Ryko vinyl reissue of ‘Man Who Sold the World’ and it’s definitely the same, so presumably from the actual Arnold Corns single (? ), not from a radio broadcast as the notes on this release suggest. Also, Lady Stardust would appear to be the same demo that is included on the ‘Ziggy..’ reissue. Other than that misinformation, a good compliment to the official Bowie at the Beeb.